I have been ruined for other plays by the play they call High Tea. At the end, as the two actors stood at the door thanking us all for coming, I could only grasp one by the shoulders and stutter something about god in lieu of a proper show of appreciation. This play was so good, I am convinced it made my hair look great for the rest of the day. 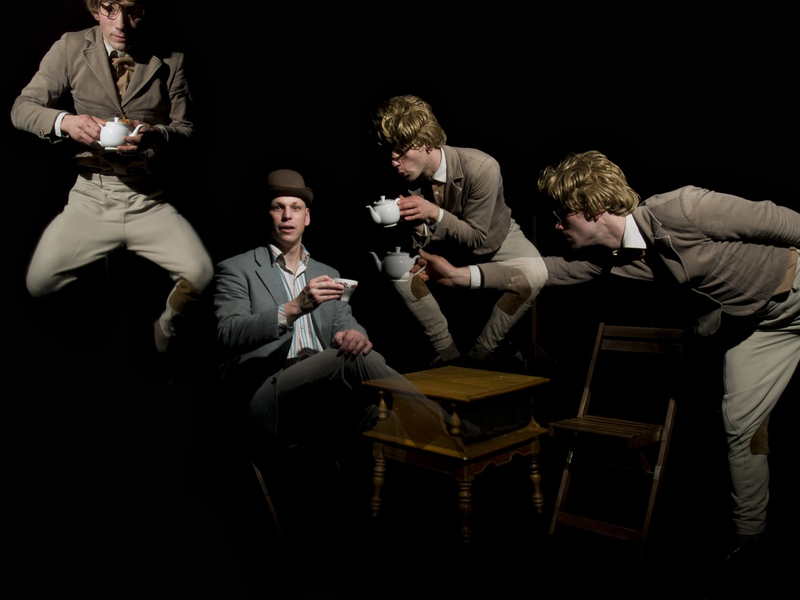 High Tea was the fantastic adventure of James and Jamesy who, at their weekly tea party, accidentally flooded the world with tea. The humour was distinctly British, well, the weirder side of British humour, anyways – very Monty Pythonesque, with a touch of little Britain (Jamesy was at times a dead ringer for David Walliams). The storyline, however, was more Roal Dahl – innocently dark, unselfconsciously witty. The strangeness of the humour worked because there was no fear of awkward silences. The second of stunned blinking it took us to laugh was all part of the joke. They did not expect the audience to lay at their feet from the beginning – they took their time with the domestication process, laying jokes carefully at first, easing cautiously and cleverly into audience participation, until we all felt safe enough and connected enough to laugh with complete abandon at every joke, and participate freely and fearlessly. The actors charmed themselves in their own modest way, and their love of the audience came from a very healthy, genuine place, rather than an insecure, pandering one. All this to say, we can all relax now. Theatre is not a dying medium. It was just dying for a cup of tea. A Bandolier of Dreams was an improvisational piece about two friends with outrageously British accents having a chat over glasses of wine. The actors were extremely talented. This was the kind of flawless improvisation that was similar to a juggling act. It took enormous dexterity and coordination to achieve that level of smoothness – a show of undeniable skill. They hit a colourful variety of jokes, somehow managing to construct complex situational humour and spout witty puns as if they had spent hours fine-tuning a script. I was disappointed, however, by the integration of audience participation. It came off as very forced – an adherence to the convention that every fringe play must squeeze in some pandering contact with the audience. Not to say that it doesn’t ever work – I have seen some brilliant audience integration. But while the two actors maintained an electric tension between them onstage, they were less good at establishing it with the audience. It brought the overall quality of the piece down. What was an extremely polished show of raw skill became clunky and amateur-ish. 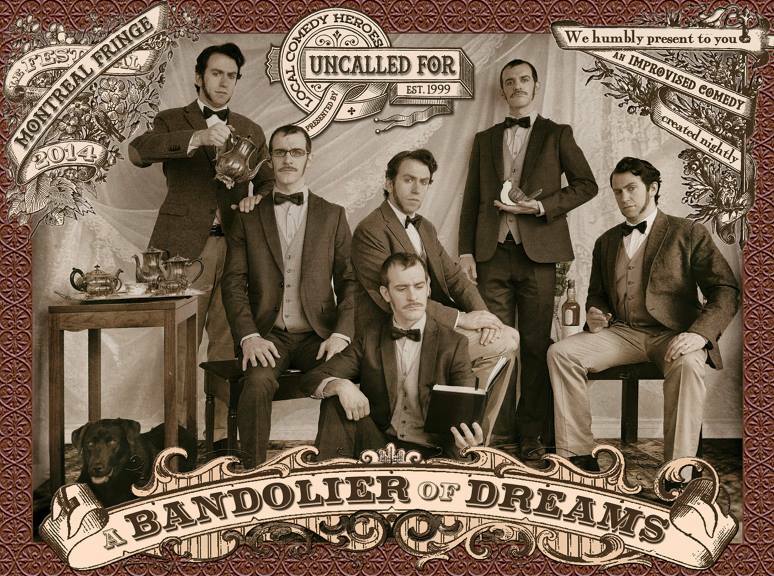 Though it had its issues, A Bandolier of Dreams was clever, impressive, and extremely good. Read our Fringe Festival Reviews here: Round 1, Round 2, Round 3, Round 4, and Round 5.